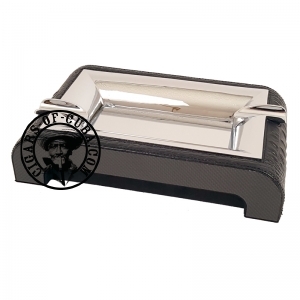 Rectangular ashtray for two cigars. Carbon & black leather crocodile style finish. Metal compartment that can easily be removed making it practicle for cleaning.